2019 Schedule: Check back often for schedule updates and additions! On September 7, 2018, the Oil Painters of America (OPA) presented its 2018 Western Regional Juried Exhibition awards during the Opening Reception & Awards presentation at Mary Williams Fine Arts in Boulder, Colorado. 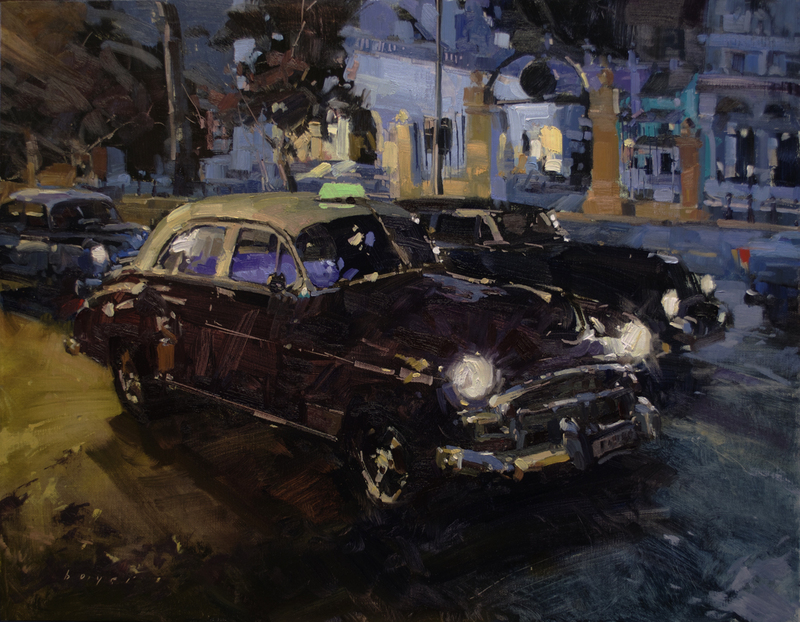 Durango, Colorado resident Lyn Boyer was awarded one of Oil Painters of America’s highest honors, winning the coveted Bronze Medal award for her painting “Havana Primaries”. 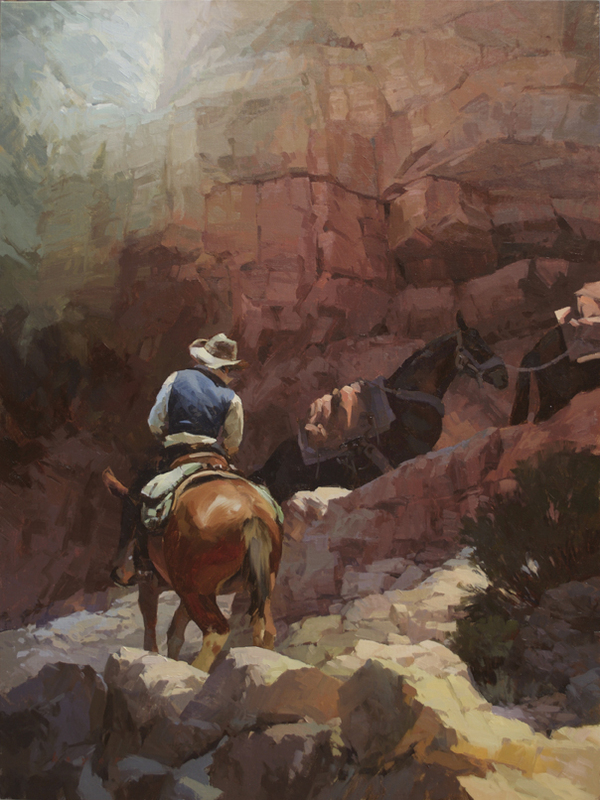 Oil Painters of America is one of the leading art organizations in North America today with members from across the United States, Canada, and Mexico. The organization is based in Barrington, Illinois and is dedicated to the preservation of traditional, representational art. OPA hosts a yearly National Exhibition as well as several regional and salon shows throughout the year. Thank you Ed Mell and Bruce Aiken for awarding ‘Continuance’ Best of Show in the studio painting category. 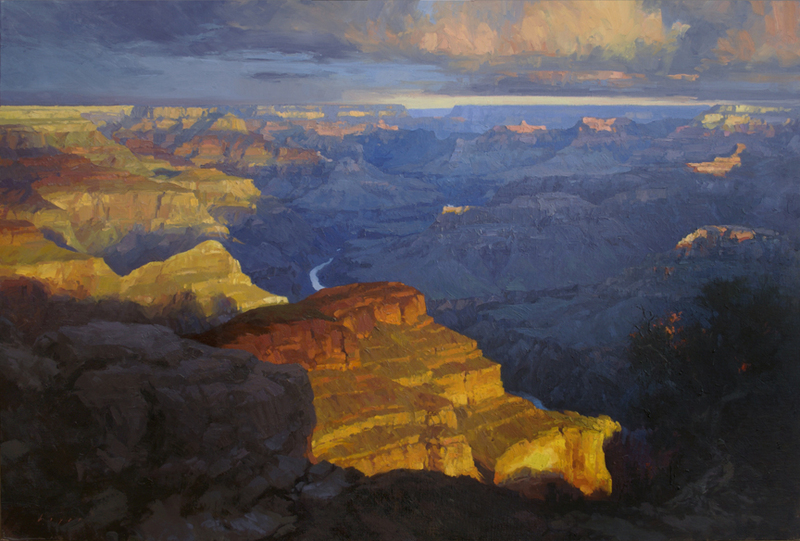 It was another truly fabulous event ending in the Gala Exhibition at Kolb Studio on the North Rim of the Grand Canyon. The show will be at Kolb through January 21st. If you can’t make it the pieces will also be available to purchase online through the Grand Canyon Association web site. I’ll be very excited to return again next year for the 11th Annual Grand Canyon Celebration of Art in 2019! Each Year, a group of artists gather at Grand Canyon National Park for the Celebration of Art presented by Grand Canyon Association. Proceeds from the event go toward a fund to establish a permanent art venue at Grand Canyon. It’s a A unique opportunity to view and purchase high-quality Grand Canyon art, features a juried art competition and show; Plein Air artists painting on the rim; and a Quick Draw event. Lodging fills up quickly so make your travel plans early. 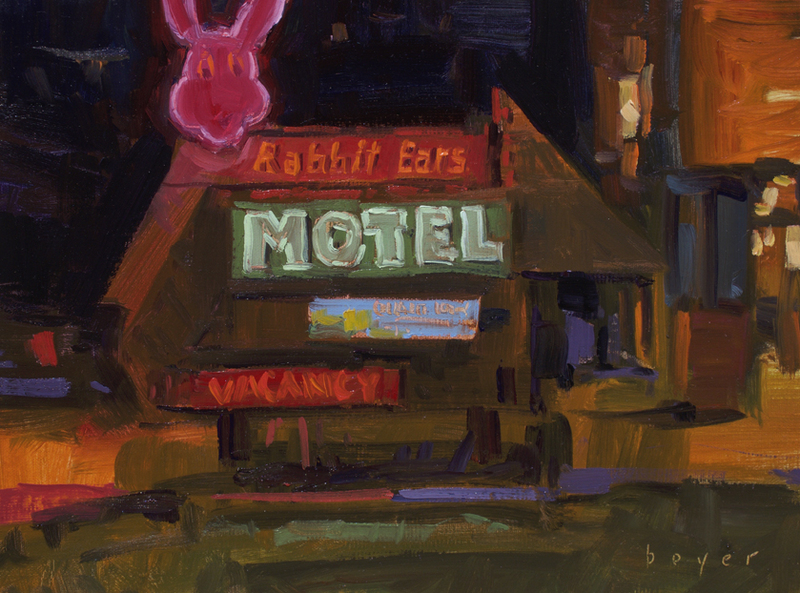 Thank you Ray Roberts for awarding ‘Rabbit Ears Motel’ the Award of Merit – Nocturnes. Always a pleasure to participate in Plein Air Painters of New Mexico events! 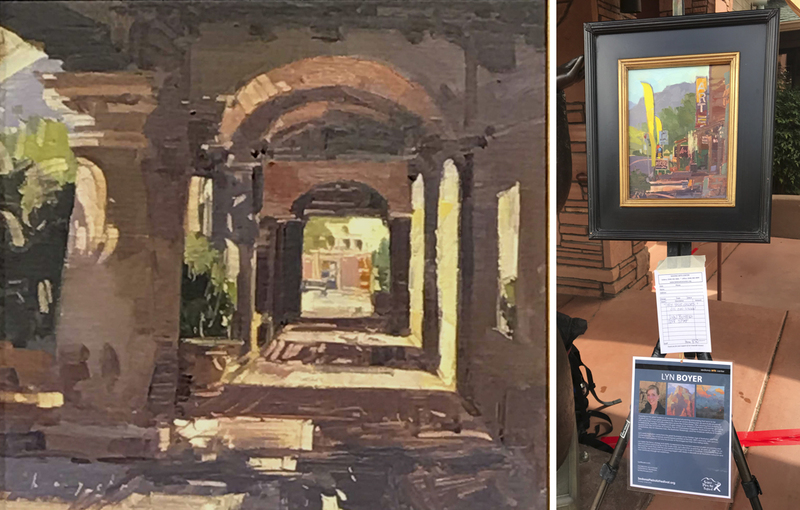 Thank you Sedona Plein Air and Vince Fazio for choosing ‘Dimensions’ to represent the 15th Annual Sedona Plein Air Festival. Thank you Carl Judson for the Main Street Quick Draw Guerilla Painter Award. It was such an enjoyable event in a magnificent part of Red Rock country! 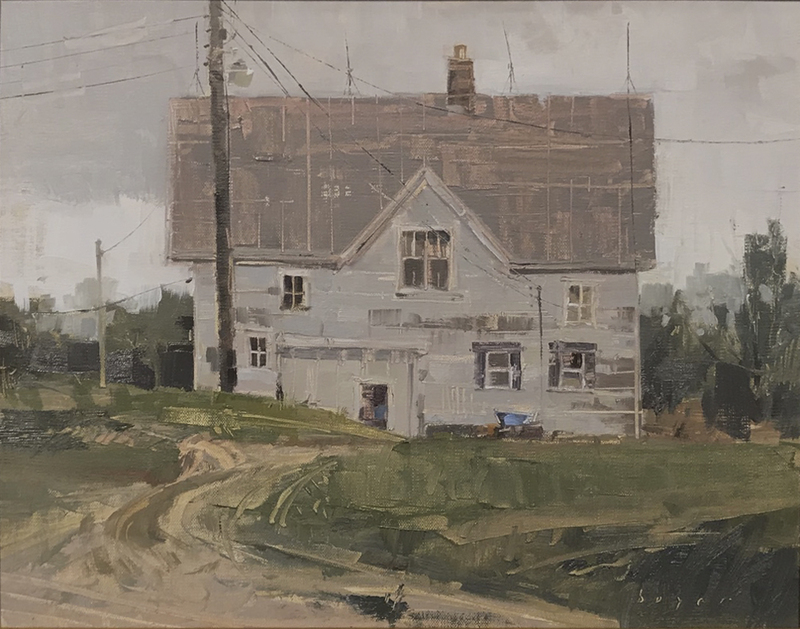 Thank you Duncan Campbell for awarding ‘A Life Well Lived’ First Place in the Small Wonders Exhibit, Duncan Campbell and Liz Erlewine for the Honorable Mention for ‘Baker’s Boathouse’ Quick Draw, and Ned Mueller for choosing ‘Jim’s Place’ for an Honorable Mention at the Paint Grand Traverse Gala Exhibition. Congratulations and thanks to Crooked Tree Arts for putting on a steller inaugural event! Thank you Judge of awards Roger Dale Brown OPAM for selecting ‘Havana Nights’ for an OPA Award of Excellence! 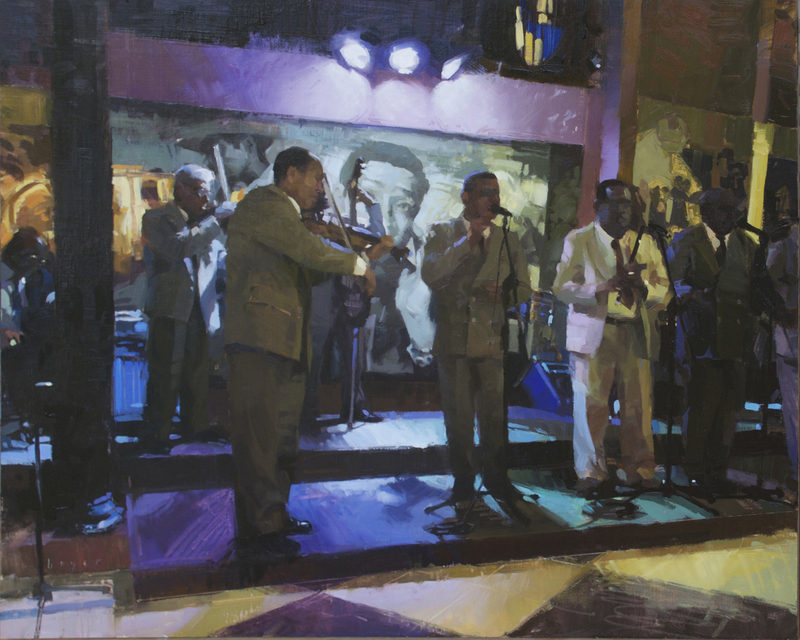 ‘Havana Nights’ will be showing in the OPA Salon Exhibition at the Crooked Tree Gallery in Traverse City, Michigan – June 22nd through September 2nd. I’m also honored to have been invited to the Masters Competition for the Inaugural Paint Grand Traverse Invitational. It will be particular fun since Traverse City, Michigan was my home town for many years and I haven’t seen those beautiful big lakes for over a decade! 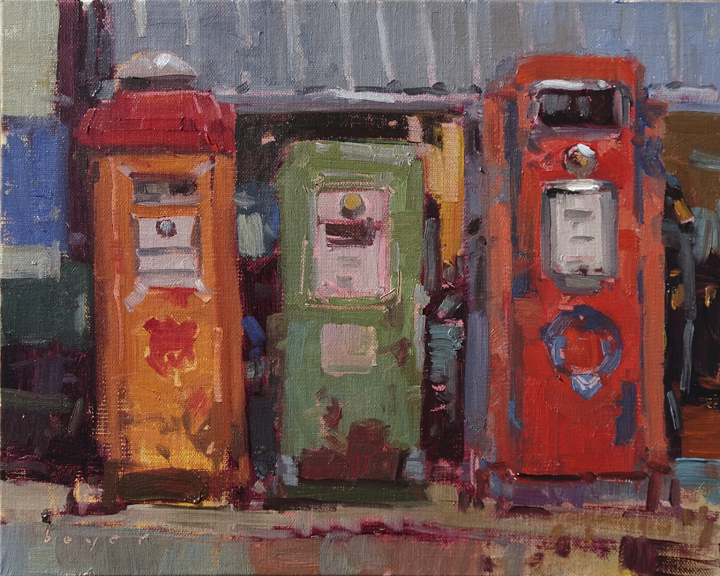 Thank you to PAPNM for putting on a great event, to Sorrel Sky for hosting the show in their fabulous space and to judge of awards Stephen Day for honoring both ‘The Gaging Station’ – Best of Show and ‘Classical Gas’ – Honorable Mention in Oils. Congratulations and thank you to the collectors who came to enjoy the opening and to the new owners of ‘Havana Blues’ and ‘The Gaging Station’. We couldn’t do what we do without your patronage and support! Those of you who have mentioned wanting to see ‘Last One Up’ in person come on up to the OPA National Exhibition in beautiful Steamboat Springs, Colorado June 1st through September 3rd! Thank you to the staff at Steamboat Art Museum and to the Oil Painters of America for a beautiful opening night for the 27th Annual National Exhibition. 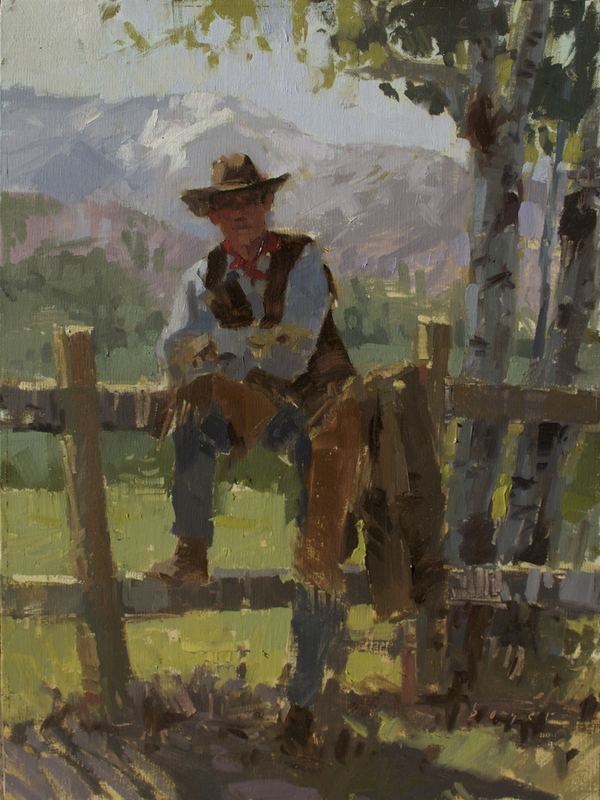 Thank you Richard Galusha of the Wildhorse Gallery for the Plein Air Division Award of Merit for ‘Young Win’ in the Wet Paint Sale event! A little more history on ‘Last One Up’ – I ran, literally, up and down the South Kaibab Trail at the Grand Canyon – sticking to the canyon wall when necessary and crouching under rock ledges…waiting…for this painting that was already in my minds eye. The loyal, sturdy mules who are born into a life of doing endless trips packing gear and people – from top of the canyon to bottom and back again – day after day – amaze me. 2018 SCHEDULE – Thanks to everyone for a great year! 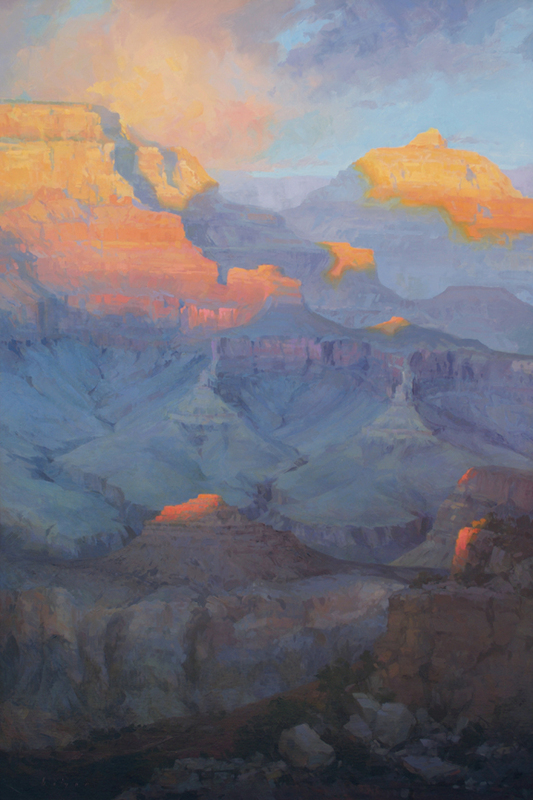 The 9th Annual Grand Canyon Celebration of Art was a highlight of the season. The event ended with a Quick Draw and auction dedicated to funding a permanent art venue on the South Rim that will preserve and showcase the spectacular art collection owned by Grand Canyon National Park and Grand Canyon Association with an exhibition at the historic Kolb Studio. Thank you Fine Art Connoisseur Magazine for awarding ‘Hope’ the Collector’s Choice Award! The season wrapped up with a stunning event at Illume Gallery of Fine Art in St. George, Utah. The OPA Western Regional show coincided with the ribbon cutting and opening of Illume Gallery which now joins Mission and Authentique galleries. 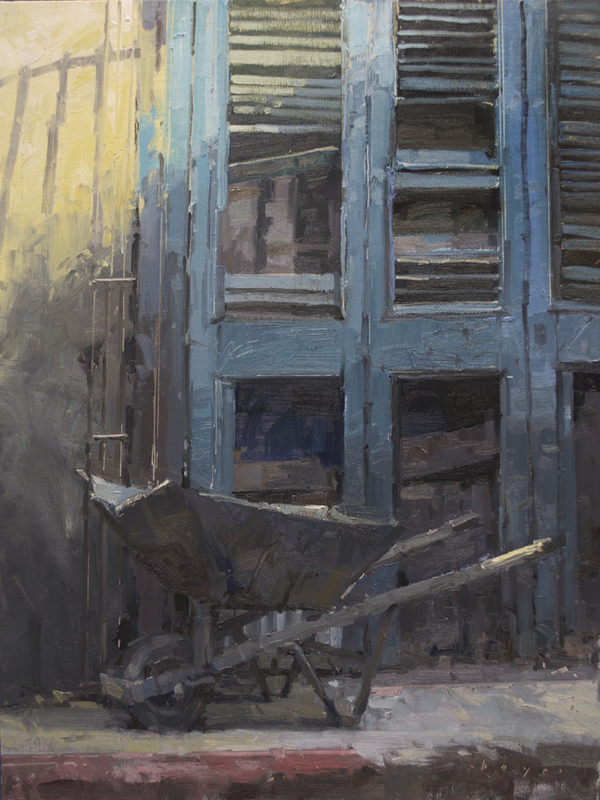 Thank you Oil Painters of America and awards judge William Schneider for the Award of Excellence for ‘Last one Up’! Also, thanks to Escalante Canyons Art Festival and judges for awarding the plein air painting ‘Bounty’ Best of Show for 2017. To Red Rock Arts Festival and judges, Bryan Mark Taylor and Clive Tyler for awarding the plein air painting ‘Yellow Rafts’ First Place – Oils, the plein air painting ‘Beyond’ First Place Deadhorse Point Quick Draw and to my fellow painters thank you for awarding ‘Love the Corner’ Artist’s Choice – Moab Downtown Quick Draw! What amazing and beautiful paintings! You truly do capture the colors, shadows and feel of the west! Good luck on your endeavors. I know it will be successful! Not only are you a wonderful artist, you are also a wonderful teacher. I learned important concepts, new to me, when I took private lessons from you. I will be calling to schedule more lessons. Thanks for the very kind words Vicki! I enjoy our time together and truly admire your enthusiasm, work ethic and continued commitment to your craft! It was a great pleasure meeting and talking with you today at the Grand Canyon today. Thank you for allowing me to have a little of your time. I just finished viewing your web site, very impressive. Thank you Gordon for the kind comment about my work and for stopping to chat! Was a pleasure. I am very privileged to be the proud owner of San Francisco de Asis Mission Church painting. It called my name at the Maynard Dixon gallery and I couldn’t leave without it! Your work is beautiful and the color is spectacular. It resides on my living room wall next to an old Apache basket and a Chinle rug with a complementary ochre color. I look forward to following your stunning work. We are your Italian friends. We had the pleasure to meet you at the Grand Canyon while you were painting a wonderful picture and had a very nice and interesting chat. I like your works herewith presented in your website. They are really outstanding. Hope you remember us. Keep in touch and let us know about your project. I am Giovanni the one who spoke English. It was so nice to meet you in St. George Barbara! Thank you for the really kind comments about my painting and for taking the time to go see it. I was pleased the awards judge did in fact give it a nice ribbon! Gosh…hope someone didn’t walk off with it! 😉 Perhaps they removed the ribbons after the opening. Stop by the studio if you are ever through Durango! Very welcome Barbara and thank you! Working on the mastery of grays is such a fun and lifelong study! Just want to thank you for the article ‘8 Seconds’. I’ve been frustrated trying to find a ‘road map’ to improving my painting skills, and the article hit the mark. Others have said the same thing and I knew this intellectually, but finally connected with me via your outline. I absolutely love your work! I will be contacting you in 2019 to schedule a private class at your convenience. Until then, I wish you all the best! I had the pleasure of seeing your work at the Escalante Arts Festival. Wow. I hope you come back next year. Love Escalante. Glad you enjoyed the work Dan. Do hope to get back there. Lyn Boyer this is Mary Williams in Boulder. I want you to know I still think of the piece I had for the OPA W.R. I do not like your work….I LOVE your work. My door and my walls are always open to your special and honest paintings. Well dang. Ditto that Debbers! Been a blast getting to be pals. Hey…you’re the best. I mean special home baked treats delivered to my campsite to keep me fueled up at the Grand Canyon! Awesome!! You really just oughta saddle up and take a workshop. You’d have a blast – and hopefully take home a new skill or two. I’m seriously not scary at all. Gizzard…he’s a different story. But being aware that he’s small enough to be stepped on he’s pretty well behaved. Besides no one is allowed to be scared in a workshop called “No Fear Oil Painting!” Lol.